Taxes in South Dakota are due and payable the first of January. However, the first half of the property tax payments are accepted until April 30th without penalty. The second half of taxes will be accepted until October 31st without penalty. WHEN DO TAXES BECOME DELIQUENT? Taxes become delinquent May 1st and November 1st. There is a 10% annual penalty for late payments. Please keep in mind, that taxes that are not postmarked by April 30th and October 31st, respectively are also considered delinquent. If you mail your payment on time, and the post office fails to postmark it by those dates, it will be considered a late payment. 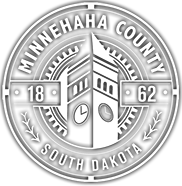 Payments made on the Minnehaha County Property Tax Website are recognized by the county as paid on the date of the on-line transaction. WHAT METHODS ARE AVAILABLE FOR ME TO PAY MY TAXES? You can pay your taxes by mail, use our drop box in the front of the administration building, with a credit card, on-line with the Minnehaha County Property Tax Website and in person. Yes. We will accept Mastercard, Visa and Discover. At this point in time, credit cards will not be utilized with the Minnehaha County Property Tax Website. IS THERE A CONSUMER FEE FOR USING A CREDIT CARD? IF SO, HOW MUCH? Yes, there is a fee. Consumer fee = $1.50 < $60.00and 2.49% >$60.01 and will appear on your statement as a separate charge. CAN I PAY MY TAXES EARLY? Yes. You can pay your taxes in advance usually beginning December 15th. Prior to coming into pay your advance tax, please contact our office to verify that the new mill rate has been issued. IF I PAY MY TAXES IN FULL IN JANUARY, DO I GET A DISCOUNT? No. There are no discounts for paying your taxes early. WHAT DO I NEED TO SEND YOU IF I'M PAYING TAXES THROUGH THE MAIL? It would be helpful if you would send us the stub from your tax statement. However, if that has been misplaced, please include an address, parcel # or bill # of the property you wish to pay or your payment will be returned. WHAT HAPPENS IF APRIL 30TH OR OCTOBER 31ST FALL ON A SATURDAY, SUNDAY, OR HOLIDAY? According to state law, if the tax due date falls on a Saturday, Sunday or holiday, it is your responsibility to get your payment to our office by 4:45 p.m. of the last working day of the month. We will also accept payments after 4:45 p.m. in our drop box and will accept payments on line with the Minnehaha County Property Tax Website until midnight. Mail with postmarks of April 30th and October 31st are also acceptable. ARE MY TAXES BASED ON THE OWNER OCCUPIED STATUS? IF NOT, HOW DO I GET IT? For the most accurate information regarding owner occupancy, please contact the Director of Equalization Office at 605-367-4228. WHAT DO I NEED TO DO IF I WANT A RECEIPT FOR MY TAXES? If requesting a receipt you must provide a self- addressed -stamped envelope. WHAT DO I DO IF I LOST MY TAX STATEMENT? If you lost your statement, you are able to obtain your current tax amount online with the Minnehaha County Property Tax Website. Otherwise, feel free to contact our office. To contact our office, call (605) 367-4211. WHERE CAN I MAIL MY TAXES? There is no charge for reviewing tax information about an individual property. Like all public records, all property tax information is available to any individual or company that wishes to review it. The county assessor is responsible for the appraisal and assessment of property. You may contact the County Assessor's office at 605-367-4228. WHAT IS THE RELATIONSHIP BETWEEN THE COUNTY ASSESSOR'S OFFICE AND THE TREASURER'S OFFICE? According to state law, the County Assessor is responsible for the appraisal and assessment of property. The Treasurer's Office is responsible for billing and collection of taxes based on assessments. The Treasurer's Office has no authority over the amount of assessment, nor can they be involved in the appraisal process. Annual renewal notices for commercial and non-commercial vehicles are mailed three month prior to the month they are due. How is the annual renewal fee computed? The Minnehaha County Treasurer’s Office computes the price of your tag based on the model year and the weight of your vehicle. If a non-commercial motor vehicle is an automobile, pickup or van with a manufacturer's shipping weight, including manufacturer's accessories, of 10,000 pounds or less, the license fees for the vehicle shall be based on the regular noncommercial license fee schedule. However, if the noncommercial motor vehicle is a pickup that weighs more than 6,000 pounds, the owner has the option of paying the license fees under the noncommercial license fee schedule or the noncommercial declared gross weight fee schedule. Can I get a refund on my renewal fees if I sell my car? The state law does not provide for a refund when a vehicle is sold. Can I get a refund on my tag if I move out of the state? The state law does not provide for refunds when an individual moves out of state unless the validation stickers have not been used or placed on the vehicle and are returned within thirty days from the effective date of the license/tab. How can a handicapped person get a temporary or permanent parking permit? Handicapped parking permits are available after an application has been properly completed by a physician and filed with the County Treasurer’s Office. Applications for handicap parking permits are available at the South Dakota Department of Revenue, please follow the links for DMV Forms. Where is the motor vehicle title and licensing agency's office located? The Minnehaha County Treasurer’s Office is open Monday through Friday, 8:00 a.m. until 5:00 p.m., except on legal holidays. When are the busiest times to purchase a tag or pay taxes? If possible, avoid coming to the offices on Monday and Friday, the first business day of the month and the last two business days of the month. These are heavy volume days, and may result in long lines and waiting. We accept cash, money orders, cashier checks and checks with a SD address imprinted on them which is not a personal mailbox address (PMB). We also accept Visa, Discover and Mastercard . However there is a consumer fee to use a credit card. Consumer fees = $1.50 < $60.00 and 2.49% >$60.01 and will appear on your credit card statement as a separate charge. Over 1.2 million vehicles are officially registered in South Dakota, all of which are identified by a legal document called a vehicle title. While the main purpose of a title is to establish who owns the vehicle, titles also provide vehicle information like make, model year, weight and the vehicle identification number (VIN). As vehicles are bought and sold, the title becomes the legal documentation of each change in ownership. Both the buyer and the seller must follow specific procedures to ensure the title is properly transferred from one owner to the next. Both buyers and sellers need to be aware of their roles and responsibilities in the titling process. Five distinct buying and selling transactions are used to illustrate possible titling scenarios. A basic checklist of documents that a vehicle owner will need to present to their county treasurer when transferring a vehicle title is also included. There are two consumer protection sections included on the title; the age of the vehicle determines what sections must be completed. For vehicles nine years old or newer: an odometer reading statement. For a vehicle six years old or newer: the uniform damage disclosure statement, and an odometer reading statement. The uniform damage disclosure statement reports any damage over $5,000, repaired or unrepaired, resulting from an accident or other single occurrence. Titles issued after January 1, 1999 provide a space for this information on the back of the title. State and federal laws also require that the seller provide an odometer reading at the time of sale for all vehicles nine years old or newer. If the seller knows the odometer reading is not actual or over the mechanical limits, this must be indicated in the space provided on the back of the title. In the event your vehicle (those less than seven years old and weighing 16,000 lbs GVWR) or less has been damaged and declared a total loss by an insurer or self insurer, the insurer or self insurer must obtain a salvage title within 30 days of acquiring ownership of the vehicle. If you retain possession of the vehicle, it is your responsibility to obtain a salvage title prior to selling or transferring the title on the vehicle. South Dakota is a plate with owner state. When a vehicle is sold, the owner retains the license plates, and receives any credit remaining on that plate at the time of registration, on a newly acquired vehicle, starting July 1st 2009 to transfer a plate to a newly acquired vehicle will cost an additional $5.00. Refunds are not given if plates are not moved to a newly acquired vehicle. The plates are available for transfer only as long as they are unexpired, once expired the plates are invalid and should be destroyed. Plates cannot be placed on a vehicle until going to your local treasurer's office. Five different title transactions are illustrated below. With each scenario, you'll find a list of steps that must be followed by the buyer and seller to correctly complete the transaction. All forms needed to complete these transactions are available from your county treasurer or may be downloaded from the Division of Motor Vehicles Forms at the beginning of this website or go to www.minnehahacounty.org then DMV Forms. When buying a new or used vehicle from a dealer, follow the steps below. In most cases the dealer will complete the paperwork for you but it's still your responsibility to make sure no documents are missing. Step 1. Within 30 days of the purchase of the vehicle, complete an application for title and registration. There may be occasions when an application is not required if all of the required information is contained on the title. Step 2. Attach a Manufacturer's Statement of Origin (MSO), Manufacturer's Certificate of Origin (MCO) or title that has been properly transferred to you to the completed application. Step 3. The price certification on the title application should be completed by the dealer or attach a purchase order verifying the price paid for the vehicle. Step 4. Completed damage disclosure and odometer statements, if applicable, should be attached to your application, if this information is not on the title. This is required even on new (MSO) vehicles. Step 5. Submit your completed application, along with the other documentation listed above to the treasurer of the county you live in and pay the 3% excise tax (if applicable), title fee and any required license fees to the treasurer. If you have an unexpired county numbered plate from a vehicle that you traded, sold or destroyed, or a specialty plate, that plate may be attached to the new vehicle upon registration of the vehicle and payment of all appropriate fees. Step 6. If you had a trade-in that is financed, the dealer is required by law to make a lien pay-off within 10 business days of receipt of the funds to make the payoff. You may want to check with your lienholder to ensure this has been done. Before buying a vehicle from a private party, check the lien section on the title to make sure there are no unreleased liens against it. If there are still outstanding liens, make sure you get a lien release! Step 1. If the seller needs the money from the sale to pay off a lien, it is recommended that you go with the seller to the lienholder to make sure the money you give them is used for that purpose. A lien release must be attached to the title if the lien is not released by the county treasurer on the title. Step 2. If there are plates on the vehicle return them to the previous owner, the seller should provide you with a seller's permit. Unattached or specialty plates cannot be attached to a newly acquired plates until the title has been transferred and all associated fees have been paid. Step 3. Within 30 days of the purchase of the vehicle, complete an application for title and registration. There may be occasions when an application is not required if all of the required information is contained on the title. Step 4. Attach the vehicle's title, properly transferred from the seller to you, to the completed application. Make sure both of you have accurately completed all sections under "Retail Sale" on the back of the title, including the odometer and damage disclosure sections, if applicable. Step 5. Attach a bill of sale containing the following items: complete description of vehicle (year, make, model, serial number); selling price of the vehicle; date of sale; purchaser information; and signature of the seller. Or if the information is on the title, make sure it is completed. Step 6. Submit your completed application along with the other documentation listed above to the treasurer of the county you live in and pay the 3% excise tax (if applicable), title fee and any required license fees to the treasurer. If you are a South Dakota resident and you buy a vehicle (new or used) from a dealer or private party in another state, you must obtain a South Dakota title. Step 1. 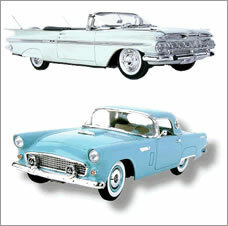 Within 30 days of the purchase of the vehicle, complete an application for title and registration. Step 2. If the vehicle is new, attach a Manufacturer's Statement of Origin (MSO) or Manufacturer's Certificate of Origin (MCO) that has been properly transferred to you to the completed application. If the vehicle is used, attach the vehicle's title, properly transferred from the seller to you. Step 3. If buying from a dealer, attach a purchase order verifying the price paid for the vehicle. Step 4. If the vehicle qualifies, make sure the seller has completed the damage disclosure and odometer statements. Attach them to the application. Step 5. Attach a bill of sale, purchase agreement, or sales contract containing the following items: complete description of the vehicle (year, make, model, serial number); selling price of the vehicle; date of sale; purchaser information; and signature of the seller. Step 7. If you traded a vehicle be sure to file a report of sale with your treasurer's office. The following steps must be completed if you are selling a vehicle to a private party, whether in-state or out-of-state. Step 1. Obtain a seller's permit from your county treasurer's office so that the buyer has a permit to drive on upon the sale of the vehicle. Step 2. Pay off any liens against the vehicle and have the lien(s) properly released through the county. The lienholder must fill out a release-of-lien form within 20 days of receiving the final payment and deliver it to you. It is your responsibility to take the release-of-lien form to the county treasurer so the release can be properly recorded on the title document. If the lienholder has the title, they should forward it and the release-of-lien form to the county. Should the lienholder give you the title and form, this should be submitted to your county treasurer for release of the lien. Step 3. If the vehicle qualifies, complete the odometer and damage disclosure sections on the back of the title and attach to the application. Step 4. Complete the seller information section and have the buyer complete the purchaser information on the back of the title. Make sure the buyer information is completed before signing as seller. If the buyer financed the purchase, the lienholder information section must be completed. Step 5. Complete and give to the buyer a bill of sale containing the following information: complete description of the vehicle (year, make, model, serial number); selling price of the vehicle; date of sale; purchaser information; and signatures of the buyer and seller. Step 6. To be completely sure the title will be properly transferred and you are free of all legal obligation, you may wish to accompany the buyer to the county treasurer's office when application for a new title is made. Step 7. It is required that you complete a seller's report of sale (MV2200) and submit it to your county treasurer's office. The form is available from your country treasurer, the Division of Motor Vehicles or from the form section of the DMV's website. Step 1. Complete an application for title and registration. Step 2. Attach the out-of-state title to the completed application. Step 3. If the vehicle qualifies, complete a damage disclosure form and attach it to your completed application. The odometer information is completed on the application for qualifying vehicles. Step 4. Submit your completed application along with the other documentation listed above to the treasurer of the county to which you have moved and pay the correct amount of excise tax (if applicable), title fee and any required license fees to the treasurer. NOTE: If you have already paid tax on the vehicle to another state, and that tax is equal to or greater than South Dakota's 3% excise tax, you will owe no tax. If the tax already paid is less than South Dakota's, you will receive credit for the tax previously paid and will be assessed tax up to the 3%. For more information about titling procedures or buying and selling vehicles in South Dakota, contact your local county treasurer's office or the Titling and Registration Section of the Division of Motor Vehicles in Pierre at 605-773-3541. Information is also available on our website at www.state.sd.us/drr2/motorvehicle. If you do not receive your title from the seller within 30 days from date of purchase, you should file a written complaint along with a copy of your purchase agreement to: Division of Motor Vehicles, 445 East Capitol Avenue, Pierre, SD 57501 or at the division's website. You've just purchased a new or used vehicle and you're ready to apply for a vehicle title. Use this handy checklist to ensure you have everything you need before you head to your county treasurer's office! Completed copy of your application for title and registration (MV608). If new vehicle, a Manufacturer's Statement of Origin (MSO) or Manufacturer's Certificate of Origin (MCO). If used vehicle, the vehicle title properly transferred from the dealer or previous owner to you. If purchased from a dealer, the price certification on the title application must be completed or attach a purchase order verifying the vehicle price. If purchased from a private party, a bill of sale. If purchased from a dealer, completed damage disclosure and odometer statements (if applicable) on the title or MSO/MCO. If purchased from a private party, make sure the seller has completed the damage disclosure and odometer sections on the back of the title (if applicable). Present all of these documents to the treasurer of the county in which you live and be prepared to pay any tax, title fees and license fees owed!